I often go for lunch in restaurants located in the mini-mall close to the office, but never had I gone to try out Bamiyan Kabob until now. It’s one of a handful of restaurants that have survived while others have come and gone. I was always deterred by the long lineups and thought that I would have to wait a while for my food to be prepared, and I was not wrong. After all, this is another kabob restaurant, and they’re all cooked over charcoal. This past Monday, I decided to check it out. One of the perks of having an early lunch is bypassing the crazy lineups. 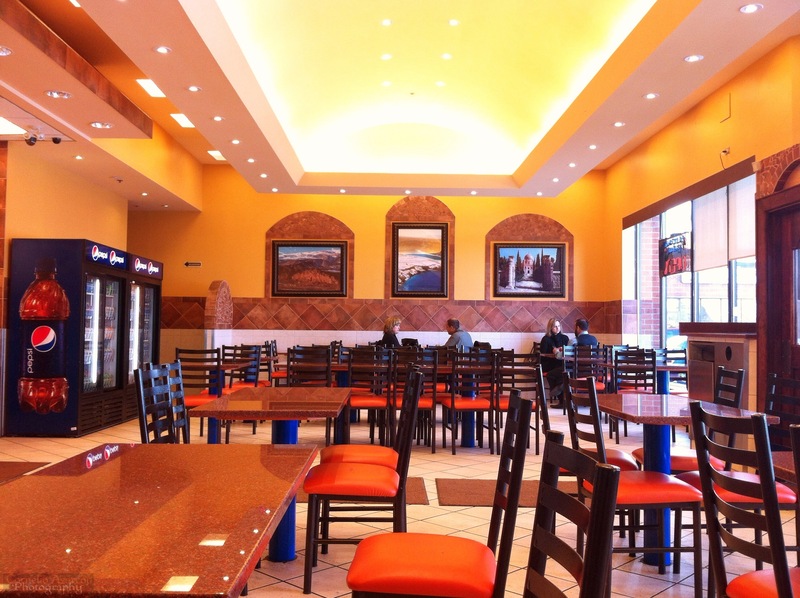 Upon entering, you can’t help but admire the colours and layout of the restaurant. I ordered the Sultani Kabob dinner, which consisted of one Kofta Kabob, which is a skewer of lean ground beef marinated in spices; and one Barg Kabob, which are chunks of fillet mignon marinated in spices. 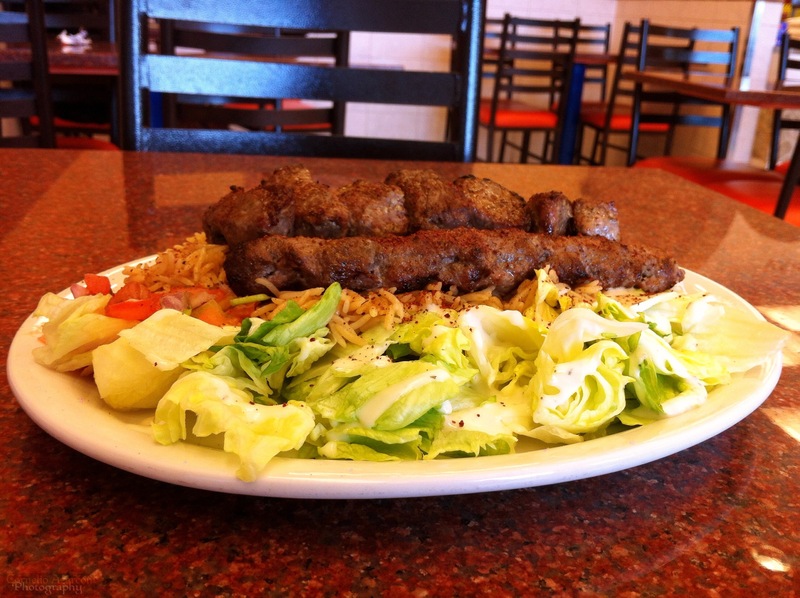 The dinner plate includes brown basmati rice, salad, and freshly baked naan bread. The special house hot sauce that came with the meal had a nice kick to it, but not too much to ruin your pallet. Both kabobs were cooked well done, but were very tender. The spices in the marinade gave it a nice flavour, and it brought me to the world of Afghani cuisine. The friendliness of the staff, and the layout of the restaurant, combined with the flavourful dishes the restaurant offers are what give customers the reason to come back. 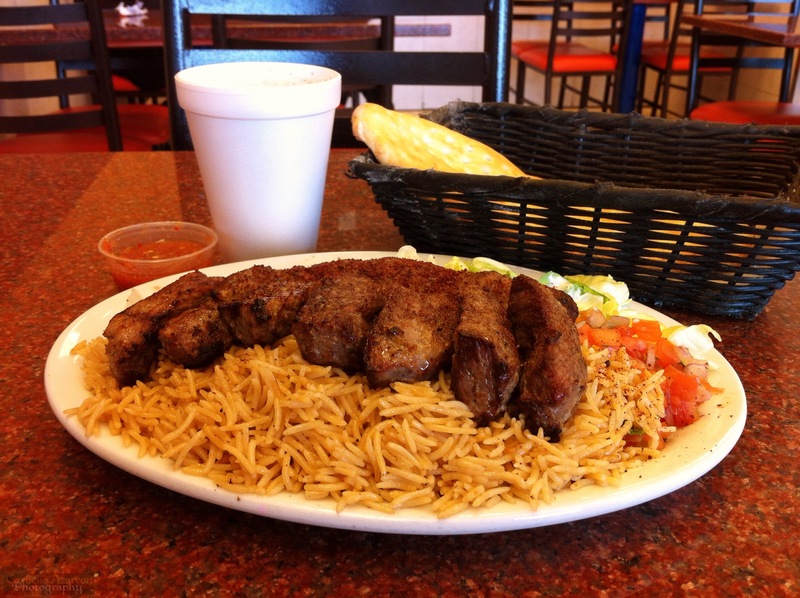 The Sultani Kabob set me back $12.49 + taxes, but it was worth it. The rest of their dishes are $10.99 or less, and for what you get on the plate, it is very reasonable. If I may recommend, try the dough to compliment the meal. It is a yogurt based drink with cucumber and mint. 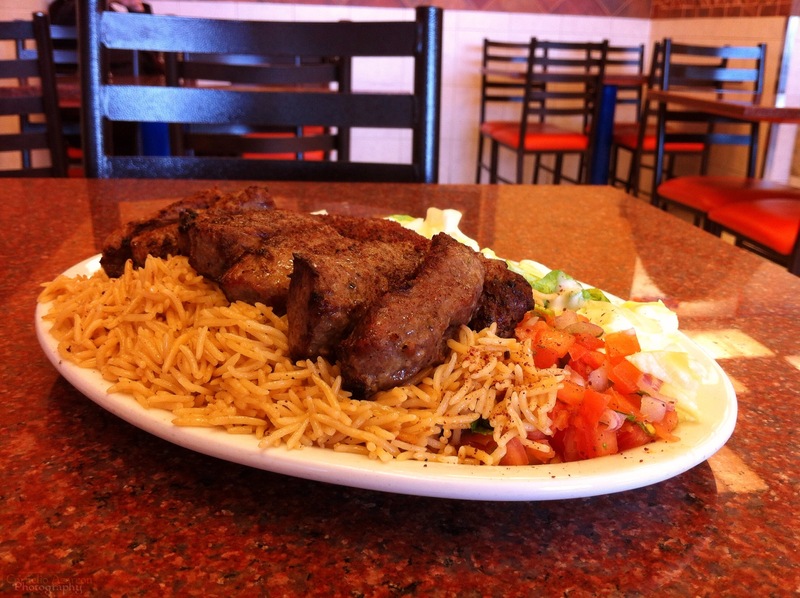 It is very refreshing, not heavy, and goes perfectly with any of their kabobs. ‘Til then, happy eating!